The History of Our Wonderful World: The Warring Cities of Greece. 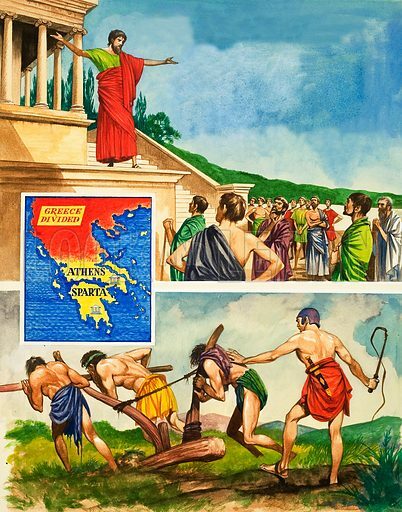 Rivalry and war between Athens and Sparta. Athens was a fine city whilst Spartans lived only for war and kept their slaves busy in the fields. Original artwork from Treasure no. 240 (19 August 1967).